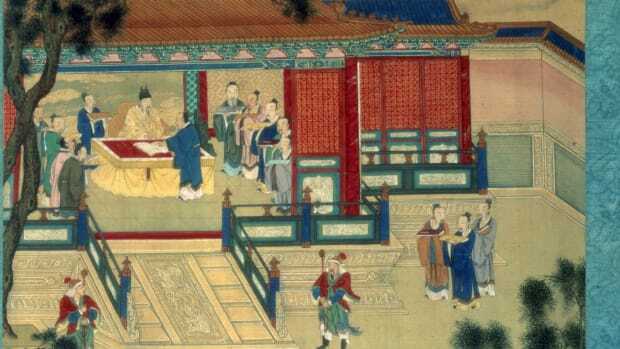 The Shang Dynasty is the earliest ruling dynasty of China to be established in recorded history, though other dynasties predated it. 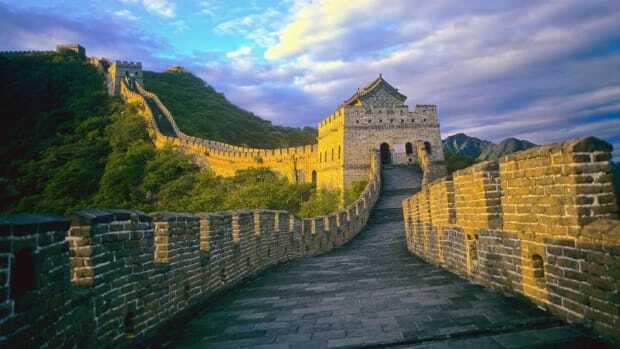 The Shang ruled from 1700 to 1027 B.C. and were known for their advances in math, astronomy, artwork and military technology. 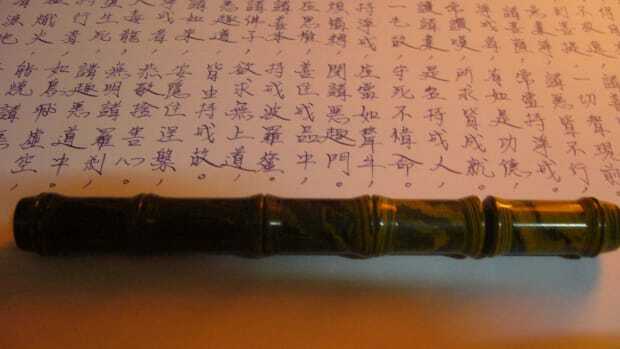 The earliest written records in Chinese history date back to the Shang Dynasty, which began when a tribal chief named Tang defeated the Xia Dynasty, which in 1766 B.C. was under the control of a tyrant named Jie. This victory is known as the Battle of Mingtiao, fought during a thunderstorm. 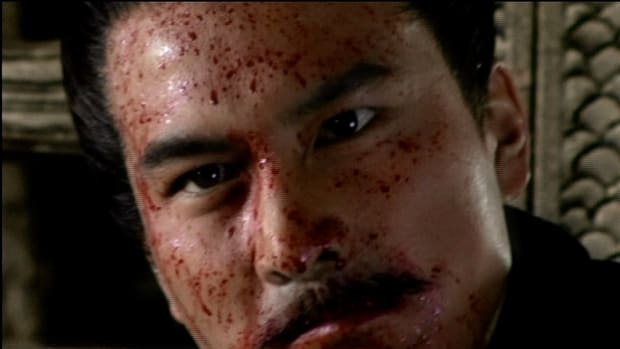 Jie survived the battle but died later of illness. 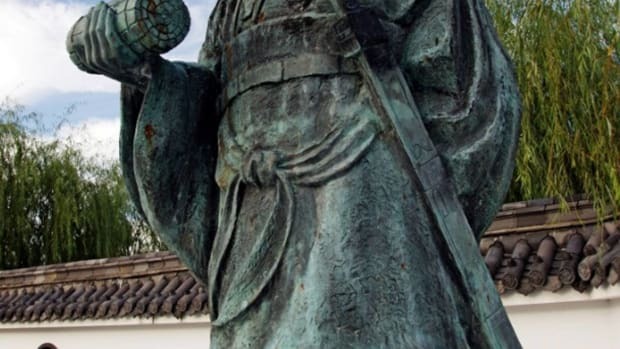 Tang is known for establishing a low number of drafted soldiers in the army and for beginning social programs to help the kingdom’s poor. 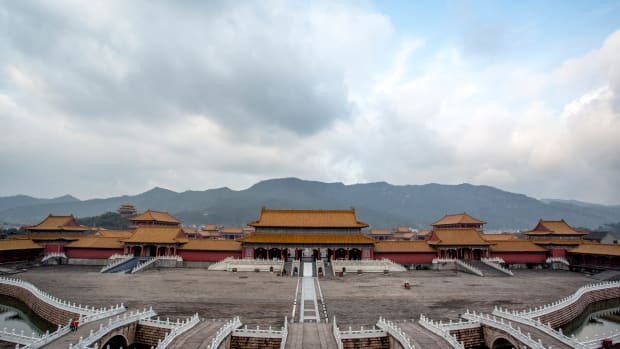 People of the Shang Dynasty are believed to have used calendars and developed knowledge of astronomy and math, thanks to inscriptions on tortoise shell that have been unearthed by archaeologists. The Shang calendar was at first lunar-based, but a solar-based one was developed by a man named Wan-Nien, who established a 365-day year through his observations and pinpointed the two solstices. Further indications that this was an advanced civilization for its time are sophisticated bronze works, ceramics and trinkets made from jade. By 1200 B.C., Shang armies were equipped with chariots. Before that, there is evidence of bronze-tipped spears, halberds (pointed axes) and bows. 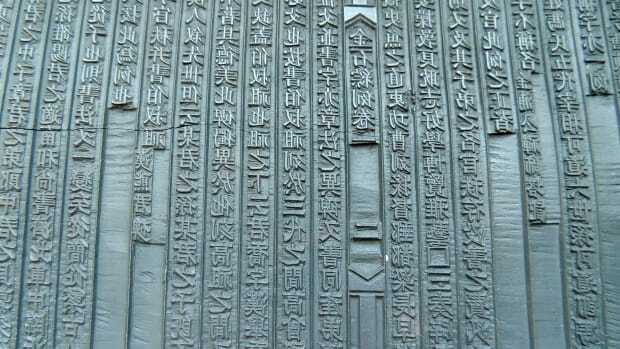 The language of the Shang Dynasty is an early form of modern Chinese. There is evidence of two numerological system, one based on numbers from one to 10 and the other from one to 12. During the Shang Dynasty, there were several large settlements, including Zhengzhou and Anyang, though these are not believed to be as densely urban as Mesopotamian settlements during the same time. Anyang became the capitol around 1300 B.C. under King Pan Geng and at the time was called Yin. 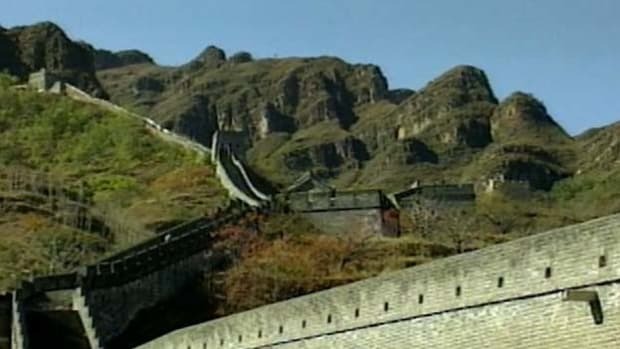 Zhengzhou is renowned for its walls, which ran for four miles and were 32 feet high and 65 feet thick. Anyang is believed to be the city that Shang kings ruled from for more than two centuries, with altars, temples and palaces located at the center. Surrounding the political center were artisans comprising an industrial area of stone carvers, bronze workers, potters and others, and then small housing structures and burial sites. 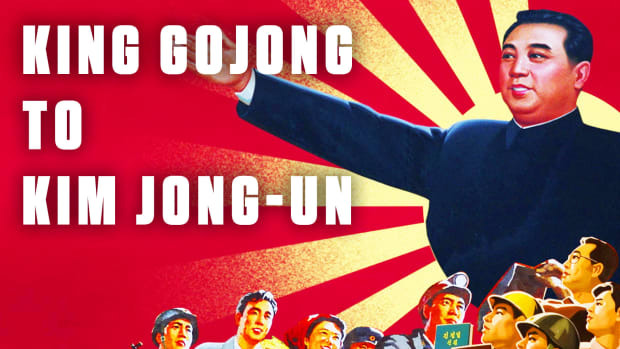 Much of the history of the Shang Dynasty has been deciphered from oracle bones found in Anyang, which present a kingdom at war, with narratives of shifting alliances with other powers. Prisoners of war were used as slaves or sometimes slaughtered for sacrifice. Within the religion, sacrifice was practiced, sometimes in large groups. 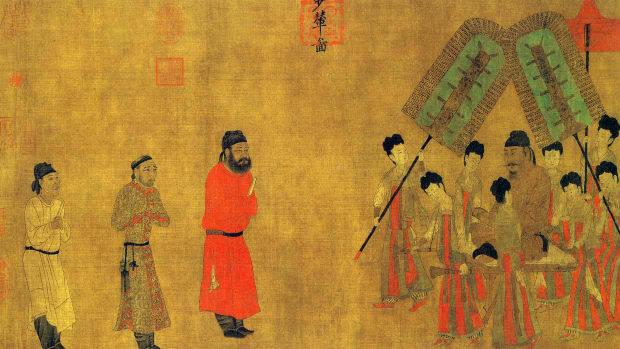 Within Shang culture, the king also functioned as a priest. It was believed that ancestors communicated through the god Di, and the Shang king led in the worship of Shangdi, considered the supreme ancestor, as well as communicating with the other ancestors. The wishes of the ancestors were received by a group of mystics and then interpreted by the king. In the first half of Shang rule, royal burials featured subordinates buried in the chambers along with the ruler. By the end of the dynasty, the number had risen. One grave in Anyang dating to around 1200 B.C. has the unnamed ruler’s cadaver accompanied by 74 human bodies, as well as horses and dogs. It is known that Shang rulers would send out hunting parties to capture members of primitive tribes to the northwest to use as sacrificial bodies in royal burial sites. The Anyang grave of Lady Hao from around 1250 B.C. features not only 16 human sacrifices, including children, but a large number of valuable objects, including ornaments and weapons made from bronze and jade, stone sculptures, bone hairpins and arrowheads, and several ivory carvings. The grave also includes 60 bronze wine vessels with images of animals. Lady Hao is believed to be the wife of King Wu Ding, who ruled for 59 years. Bone inscriptions reveal that she lead several significant military campaigns in her life. 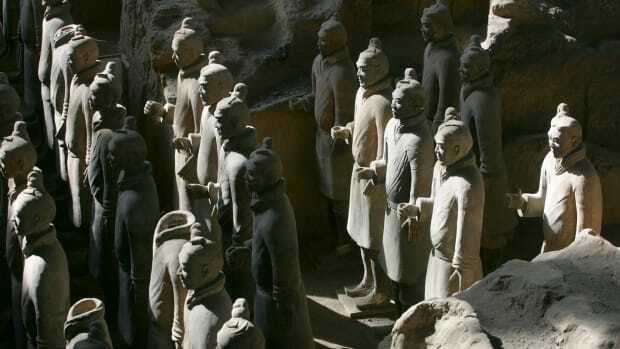 The Shang Dynasty came to an end around 1050 B.C. The final king in the Shang lineage, King Di Xin, was considered a cruel leader who enjoyed torturing people, leading to calls for the end of his rule. Entrusted with an outpost to protect the western frontier of the kingdom, the Zhou army, lead by King Wu, marched on the capitol city. Di Xin armed nearly 200,000 slaves to supplement the defending army, but they defected to the Zhou forces. 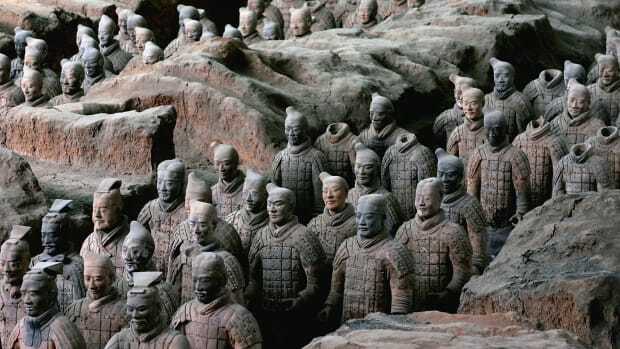 In what is known as the Battle of Muye, many Shang soldiers refused to fight the Zhou, some even joining the other side. Di Xin committed suicide by setting fire to his palace. The incoming Zhou dynasty would rule for 800 years.